Former GWR Lines. GWR "King" 4-6-0 No. 6023 "King Edward II" was one of two which ended up at Woodham's in Barry, both later rescued for preservation. 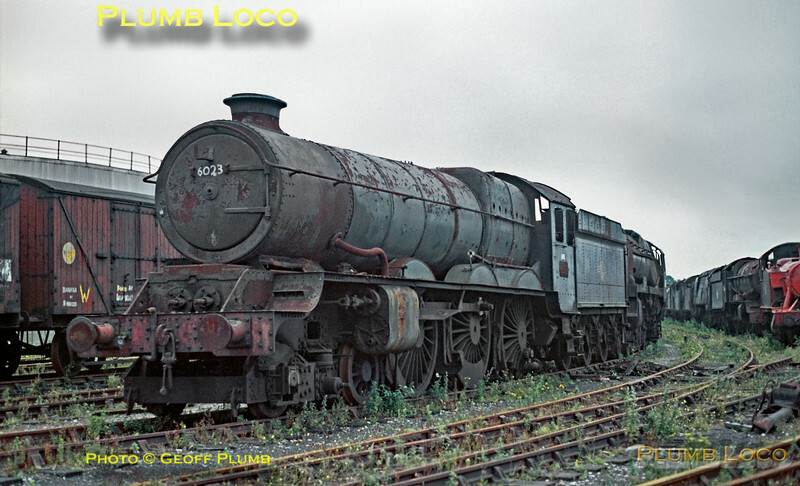 This loco had its rear driving wheels cut after a derailment in the yard and was originally thought to be beyond hope - it returned to steam for the first time in 2011! Slide No. 5326.